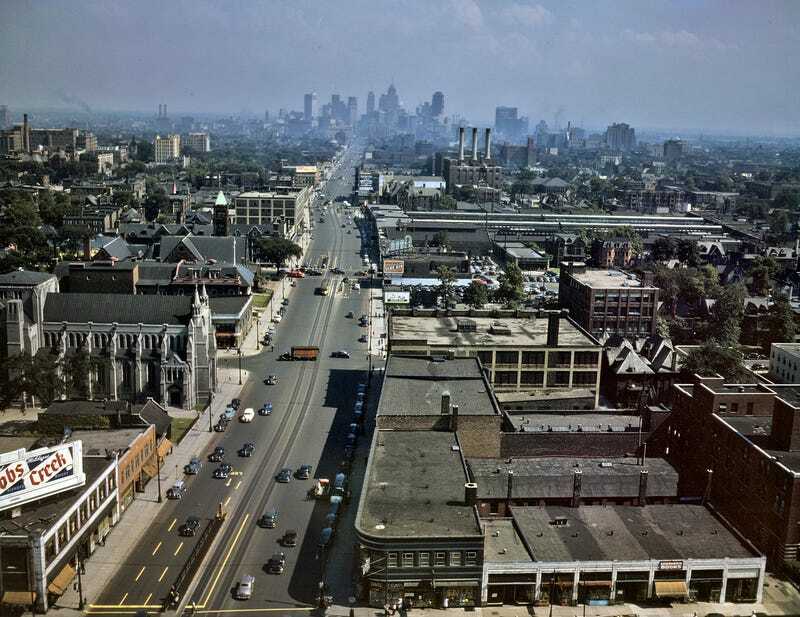 For some reason, whenever people talk about Detroit and its decline, they talk about it as if it's mysterious. Or the ascribe it to the usual suspects - government corruption, bad city planning, declining industrial might. Sure, all those things didn't help the situation, but for some reason, almost no one talks about what's causing so many people to flee the city: big banks. A depressing story from the Detroit Free Press today details how one bank, Morgan Stanley, which acted through a subsidiary called New Century, gave out loans to Detroiters even when they knew the mortgages were likely to fail. In e-mails in the 2004-07 period, Morgan Stanley staffers referred to the mortgages as "a bunch of scaaaarrryyyy loans!!!!! !," "crap," and "like a trash novel." In an internal memo dated April 14, 2006, Steven Shapiro, head of the firm's trading desk, predicted a growing problem with mortgage foreclosures: "We should expect ... a good percentage of the borrowers going into extended delinquency/liquidation." The following January, Shapiro e-mailed officials at New Century, asking, "What is going on with these loans??????????" A New Century executive e-mailed back, "You mean besides borrowers who apparently don't have the money to make their mortgage payments? (Sorry to be flip ...)"
These mortgages were bad. A class action lawsuit filed by Michigan Legal Services claims it was the norm for the bank to hand out mortgages that started at 8 percent interest, and quickly jumped to 17 percent interest. At 17 percent, you'd end up paying about $500,000 for a house worth $100,000 in a normal 30-year mortgage. And it seems the bank gave junk mortgages to black residents at a higher rate than white residents. Between 2004 and 2007, Morgan Stanley gave out the same number of loans to black and white families, but 90 percent of the loans given to black families were "high cost" vs. only 79 percent for white families. "It's apparent that at much higher levels, decisions were made to create mortgages that had predatory features in them that guaranteed that these mortgages would fail," Michigan Legal Services director Marilyn Mullane told the Freep. This is just the latest sign of Detroit's foreclosure crisis. In November, Wayne County started foreclosure proceedings on almost 75,000 homes in Detroit because their owners were behind on taxes. Many of the people in these homes owe just a few hundred or thousand dollars on their bill. There is a little bit of light at the end of the tunnel though - foreclosures are falling year after year in Detroit. After a whopping 79,623 filings in Detroit in 2010, the area only experienced 12,535 last year. Unfortunately, that might not mean that the city is more stable, but that the people struggling to afford to stay in it have already left. Detroit's population is now under 700,000, and 10,000 people left the city last year alone.